Drew Klein – Director of International Business Development for C-COM Satellite Systems will be on the panel on Wednesday February 6th, 12:15 pm: Antennas – Tracking and Phased Array Antennas. C-COM Satellite Systems, in partnership with the University of Waterloo, is creating its first Electronically Steerable Phased Array Antenna. 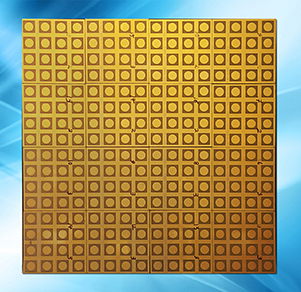 C-COM tested its Ka-band, chip-based modules using the company’s patent-pending phase shifter technology in the summer of 2016. The proof of concept prototype is expected to come out in 2019. C-COM Satellite Systems Inc. is a pioneer in the design, development, and manufacture of mobile, auto-deploy, motorized antenna systems for the delivery of Broadband Internet to any location via Satellite. The company manufactures its iNetVu® brand in Driveaway (vehicle mount), Flyaway (transportable), Manpack (backpack) and FMA (fixed motorized) format. With more than 8,000 systems deployed in over 100 countries, C-COM is the world leader in commercial grade mobile antenna sales.